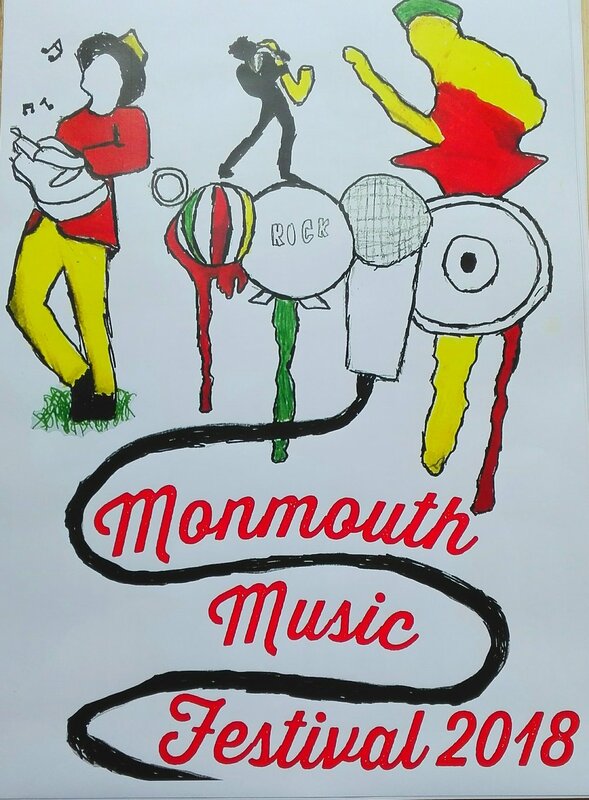 It is with great regret that we have to announce that the Monmouth music festival will not be hosting a main stage this year. 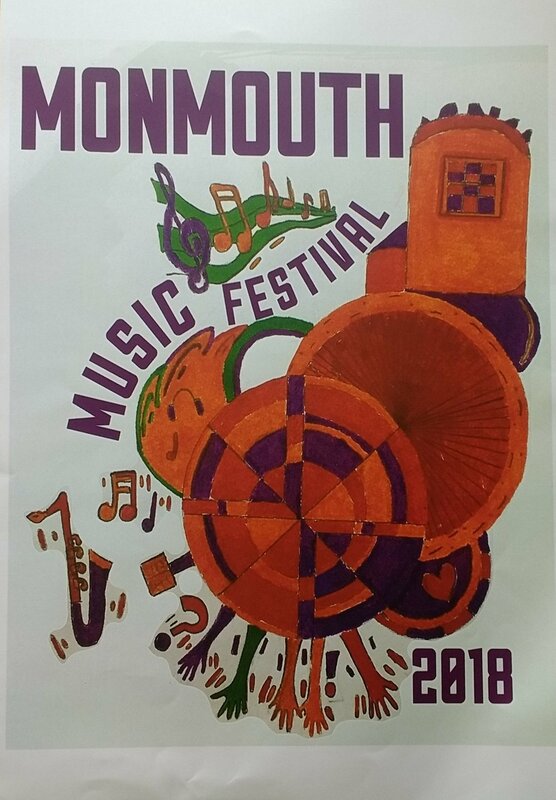 In response to the articles in the Monmouth Beacon over the last few weeks Monmouth Festival is sorry to announce that there will be no Main Stage this year. This decision has not been taken lightly but taking into consideration recent comments and discussions the Festival feels that this was the only acceptable course of action. We are very grateful to Monmouthshire County Council for their support, backing and working with us to improve and progress the Festival. Monmouth Festival is one of the largest tourist driving events in Monmouth town, attracting around 40,000 from all over the country and internationally, bringing a great deal of revenue to the town. We are very aware of the detrimental effect that this announcement will have on both the town and its many businesses. It is also why we have taken a great deal of time, consideration and met with many other organisations before making this decision. 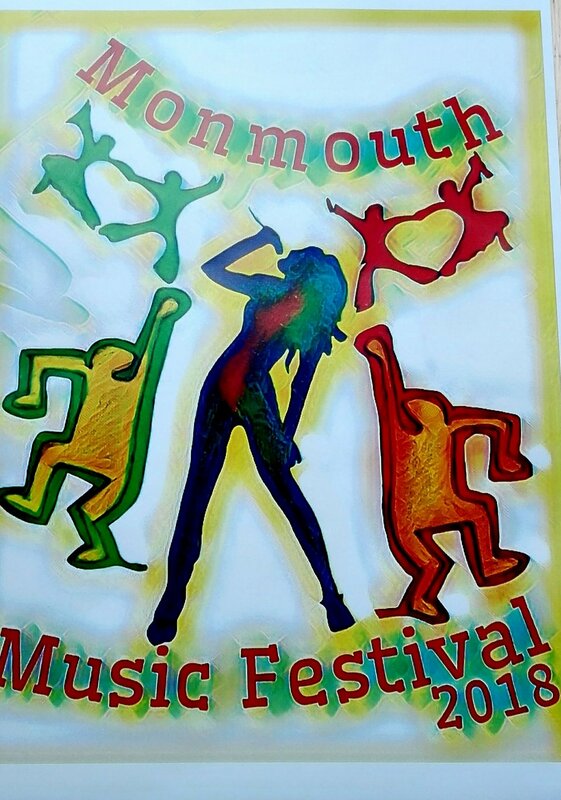 Monmouth Festival has remained a relevant and successful event because it has been allowed to evolve over time. The car park site has worked well for many years but does not allow us the flexibility to update and adapt. The aim of moving Main Stage to Chippenham Fields, a village green site, was to create a more festival atmosphere over a full weekend allowing the attendance and enjoyment of all. We had agreed to protect the areas indicated by Monmouthshire County Council and were committed to litter picking and cleaning up every evening and after vacating the site, as we have always done on previous sites. We know that in other Monmouthshire town’s village green sites are shared sympathetically by associations and all types of other events and it was never our intention to upset or cause any difficulties for any other association. Reducing the Main Stage programme from 9 to 5 day was in response to your feedback over the last several years and witnessing decreasing levels of attendance on certain nights. It has become very clear a Main Stage, nine-day festival is no longer viable or supported. Festival traders, who play a crucial part in financing the event, have also indicated that the nine-day formats is no longer attractive with its limited trading hours and nightly put up and take down. We would like to thank the core group of businesses that have supported the Festival, as listed on our website, along with those of you that have been generous with donations and/or time. However, it is very noticeable that many of the businesses that directly benefit from the Festival have not seen the need to support it. The Festival is a free at source festival but costs in the region of £60,000 to stage. We have, as has been reported many times in the Beacon and on our social media, battled to raise this money year on year and despite our rallying cry “£ for the sound” the majority of attendees have failed to take on board this message and respond accordingly. The Festival Committee is made up of a small group of dedicated volunteers who donate their time free of charge throughout the year organising this wonderful event. Their numbers are augmented by other members of the community who help out during the Festival itself. Despite being a volunteer run organisation, the Festival is run professionally and in a businesslike manner. We have very strict procedures with regards to bullying and threatening behaviour and whilst we appreciate and welcome constructive feedback, over the last few years many of the comments made on social media (albeit it by a minority) have been vitriolic, abusive and inaccurate. We feel that it is unacceptable and inappropriate for our volunteers to be abused in this way. Although we are unable to put on a Main Stage programme this year, we are still keen to provide entertainment for those of you who have always supported the Festival. There will be 5 nights of music in the Riverside, a Classical programme at St Mary’s and some additional events to be confirmed. 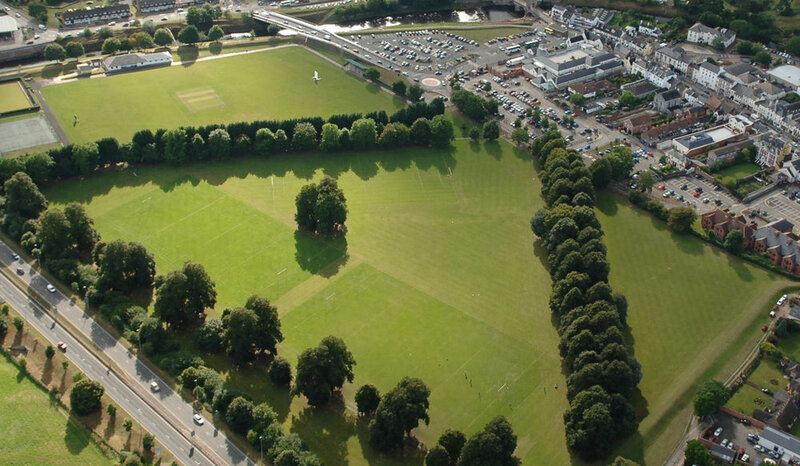 We are continuing to work with Monmouthshire County Council to find a suitable solution for the Main Stage Monmouth Festival 2020. Some of you have already noticed that there’s a slight change to this year's Festival date but that’s not all that’s changing! We’ve taken on board your comments and have made some changes to the programme too. 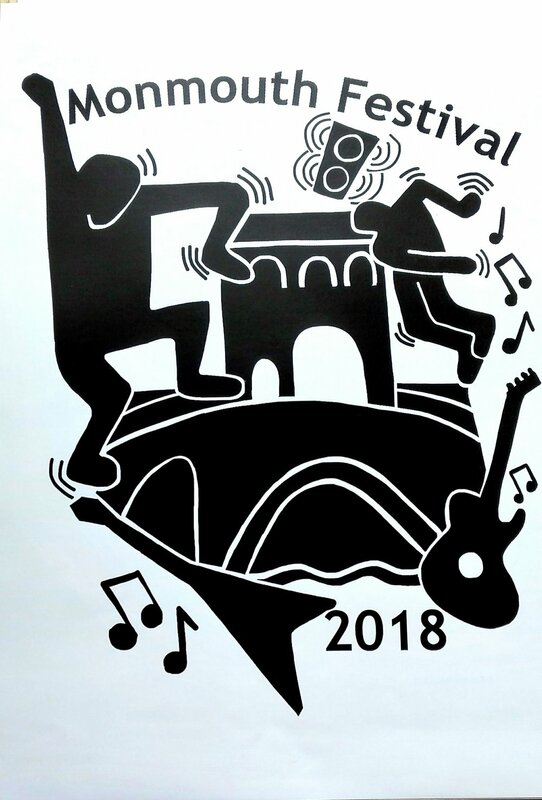 The Festival will run, as always, for nine nights but to ensure you get the chance to see as many of the performers as possible the Festival’s second stage, at The Riverside Hotel, Monmouth will run from Saturday – Wednesday, 27th – 31st July. The Classical programme will begin on Saturday, 27th July and will run for the duration of the Festival. Main Stage will begin on Wednesday night, 31st July and run through until Sunday, 4th August. Bands will begin at 7pm on Wednesday, Thursday and Friday nights,and 12.00pm on Saturday and Sunday with the Family Fun Day taking place on the Sunday. NOT ONLY THAT MAIN STAGE IS MOVING! This year Main Stage will be situated on Chippenham (CHIPPY) Fields enabling us to create a real festival vibe on the last weekend. We are delighted to be working with Matt and his team at the Riverside, St Mary’s Church, The Methodist Chapel and all our Fringe venues again this year. We would also like to thank Monmouthshire County Council for their help in facilitating these changes. We must stress that Chippenham Fields is a designated "village green" site and camping is prohibited. To ensure that no-one attempts to camp there will be a presence onsite 24/7! We believe that one of the reasons the Festival has endured for so long is its ability to change and update and we hope that you are as excited as we are about the changes. We can’t wait for this year’s Festival! "As ever, we could not put on the festival without the support of our sponsors and advertisers, our traders and our committee" stated Mel Ralph, this year's festival chair. "I thank Monmouth Town Council and all other sponsors for their ongoing support of this wonderful event. Despite the loss of the family fun day our townsfolk came out and showed fantastic support for their event, especially on the last two nights. My thanks to all who came down, joined in the festivities and donated to keep the Festival alive. Our hardworking bucket team collected in over £17,000, not quite as much as we hoped for, or needed, so next year's committee will have its work cut out to gain the necessary revenues and income to take the festival forward into 2019. My last thanks go to the very hard working committee, some of whom will be stepping down this year, having served the Festival and the town for a considerable number of years. They will be missed and they will need to be replaced." To keep the Festival going and to keep improving, the Festival needs new blood. The Festival needs a committee and it needs commitment. It's clear from audience feedback that you have plenty of ideas but do YOU feel strongly enough to turn those words into actions? If you are passionate about staging the 37th Monmouth Festival please come along to the AGM in October. Tell us your ideas, share your enthusiasm, join the committee and commit to organising and staging the 2019 Festival. The date will be announced on the website, on facebook and in the media as soon as it is confirmed. But for now THANK YOU to everyone who helped stage this year's Festival, to everyone that supported the Festival and to all of you lovely lot that gave to the buckets! As always there were some fantastic entries but after much debate Max’s bold design was chosen for this year’s T-shirt. The boys, currently year 9 pupils at Monmouth School, assisted Jolly Clothing with the printing of the T-shirts and were each presented with a T-shirt, hot off the press! T-shirts will be on sale during the Festival. We’re really looking forward to seeing the T-shirt being worn around the town this summer. The posters have been distributed to businesses that have sponsored the Festival, advertised in the brochure/ will advertise on screen or have provided financial support to the Festival. We look forward to seeing them displayed in many of the shop windows. Monmouth Festival is pleased to announce that Monmouthshire Building Society will be sponsoring this year’s Family Fun Day. Monmouthshire Building Society has been providing mortgage and saving products to the people of Monmouthshire for over 149 year, and will celebrate its 150th birthday in 2019. The Society is currently undergoing a rebranding process, and will be rolling out new consumer and intermediary websites in the summer. Founded as a mutual building society, the Society is proud to support Monmouth Festival. 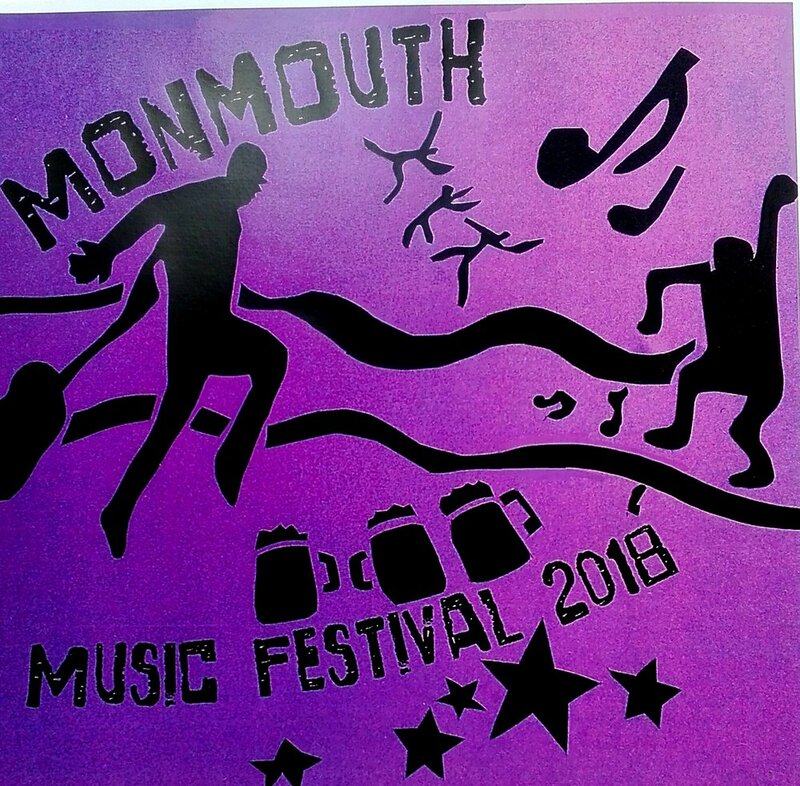 Monmouth Festival 2018 will run from 27th July to 4th August with the Family Fun Day taking place on Sunday, 29th July from 12 pm to 6pm. Taiko Mynydd Ddu, the first community Takio drumming group established in Wales, will get the event off to a pulsating start. 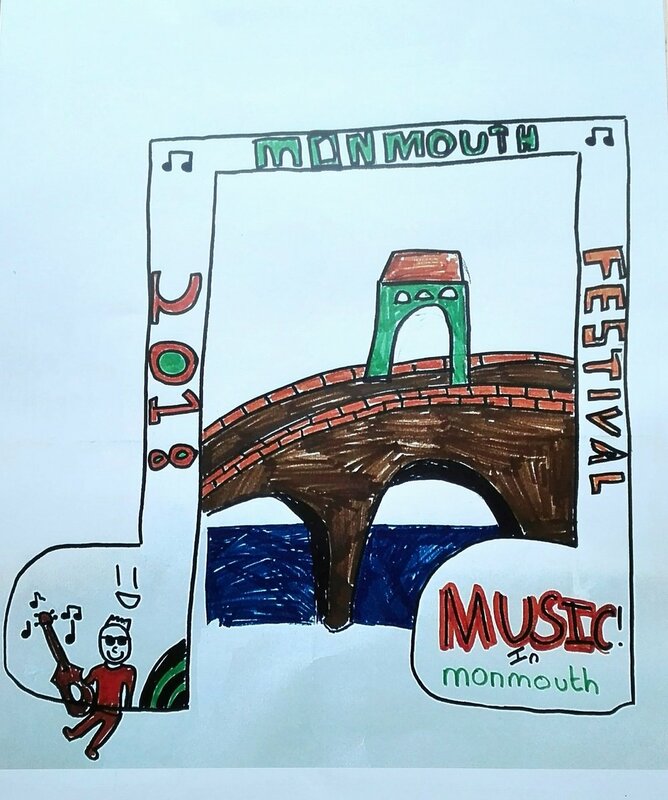 The Savoy Youth Theatre Academy, followed by Monmouth Band will continue the entertainment and from 3pm onwards Monmouth Festival Unplugged Wildcard winners will take to the stage. There will be plenty to do: Dash Panache will be back to help you brush up on your circus skills or experience new ones. You’ll be able to try your hand at wicker work at Hatton Wicker’s workshop or have a go on a Segway courtesy of Go Ape! Forest of Dean. The ever popular bouncy castle, inflatable and fair rides will be supplied by Megabounce. There will be plenty to see: Monmouth Fire Brigade’s demonstrations proved so popular last year that we’re thrilled to have them back. There will be a variety of stalls including the Festival food and drink traders. We would also like to thanks Nick Penny Event Services for his continued support and sponsorship of Monmouth Festival Unplugged (previously the Busking Festival) and Monmouth Town Council for awarding us funds from the MTC Larger Grant Scheme. We’re really excited to announce that Sunday Night at the Festival is country night! We know how much you love the Festival’s Country Night and how much you’ve missed it. We’d like to thank Norman Crockett for his help, advice and shared knowledge. Country Music has a song for everything – heartbreak, when you’re lonesome, reminiscing with friends or you want to party. This year’s Country Night promises to be a great dance night so buckle up, brush off your Stetson, pull on your cowboy boots and start practising your dance moves. We’re in for a night of heel splits, shimmies, shuffles and so much more. We know that there are 100s of musicians who miss out on playing the Festival so we've given the Busking Festival a make-over and it has become MONMOUTH FESTIVAL UNPLUGGED. Monmouth Festival Unplugged will give performers the opportunity to win a wild card slot to play the main stage during the Family Fun Day on Sunday, 29th July. Register between 9:30 and 10:30am on Saturday, 28th July in Agincourt Square for a 20 min 'unplugged' slot on the live stage. It doesn't matter whether you're a solo act, duo or full band. Please arrive early as there will only be 17 performance slots up for grabs on the day. Slots will run from 10:30am until 5:00pm. A panel of festival committee judges will review all performances and then select 5 or 6 acts to perform on the festival stage between 3pm and 6pm on Sunday 29th July. All stage performance will need to be unplugged - no guitar amps, no full drum kits. This is about the unplugged performance grabbing the judges’ attention. If chosen, performers will be able to play their usual set on Main Stage the following day. A full PA will be provided for vocals and direct input of instruments. Monmouth Festival Unplugged is run in collaboration with Nick Penny Event Services . We are very grateful to Nick for not only running this event but sponsoring it too. For more information please contact Nick Penny at office@nickpennyeventservices.co.uk or on 07801 650977. We are very pleased to announce that this year the second stage will be held at The Riverside Hotel, Monmouth. The Riverside Hotel has for a number of years staged Festival fund raising and Fringe events, including the after parties. We would like to thank Matt and everyone at the Riverside for their kind offer of hosting the second stage and look forward to developing an even closer working relationship with them. We are celebrating not only 35 glorious festival years but the volunteers who over the years have been so generous with their time and support. It is because of their dedication that the Festival has endured and grown into the event it is today. Volunteers will be invited to attend the concert for free. Who'd have thought back in 1983, when Monmouth took part in the ‘Festival of Castles’, that the Festival would still be going strong in 2017. With only 5 months to go until the 35th Monmouth Festival let the countdown begin! From 28th July to 5th August there will be nine nights of music in the Main Stage Area (Blestium Street car park), 5 nights of music at the Three Horseshoes, a classical programme at St Mary's Church and Fringe events throughout the town. The Busking Festival returns on Saturday, 29th July. Buskers will perform throughout the town with the open mic stage located in Agincourt Square. Sunday, 30th July, is Funday with plenty of activities and entertainment for the whole family in the Main Stage Area. We will be celebrating both the 35 years and the wonderful volunteers whose commitment over the years has seen the festival grow into the event it is today. Details will be posted over the coming days on Social Media, here on our website and in the press. Following a number of years of incorporation into the Monmouth Festival, Monmouth Carnival is set to operate on its own again this summer. The re-ignited carnival committee has grown in strength and stature and although it gelled well as part of the annual music festival it now seems like the right time for it to move on. Such is the popularity of the carnival and its growth so big that there is now an expanded, lively and growing group who can move the carnival forward to a newer and bigger platform than could be achieved as a small group in a larger organisation. The Carnival and Music Festival have agreed that it would be better to make the move sooner rather than later so that planning and production of this year’s events can get smoothly underway. Mark Williamson, festival spokesperson said, “The Carnival now has the strength and depth of support to stand alone and we wish it every success in the future." This year will see the carnival take place on 2nd July and a family fun day will be introduced during the first weekend of Monmouth Festival, bringing a new aspect to this much loved and well supported event. Thank you to everyone that took the time and voted for The Festival's Aviva Community Fund bid. We really appreciate your support. Unfortunately we didn't get enough votes to make it through to the Final but we’d like to wish all the finalists the very best of luck. With three festival stages and a growing Fringe some nights it's almost impossible to choose where you want to be! It will only take 2 minutes of your time but the effect that the £10,000 Aviva Community Fund would have on the Festival would be evident for a very long time!
" it's not just the crowd that was great, the crew were great. From start to finish it's been a pleasure to be here..... this is the nicest one (festival) we've done"